Worried about robots taking over? Read this to find out why they won’t. A lot of noise about Artificial Intelligence has been going around; lately, AI will take over jobs and humans will be left unemployed in the near future. This assumption is based on the fact that rapid automation will gulp down a massive number of jobs. However, this is far from the truth. While AI will do some jobs, there will be new upcoming jobs that will require human intervention. By automating the processes and giving rise to new jobs, AI will accelerate the pace of growth in all the industries. It is estimated that if organizations inculcate AI in their business processes, then there will be 58 Mnmore jobs that will be created by 2020. In the midst of all the discussions over what jobs will be completely automated and snatched away from humans, let’s take a look at some of the skills and tasks that are about to stay around. The first myth about automating jobs that a huge number of jobs will be entirely taken over by machines. However, it is very likely that only a part of your job will be automated depending on how much human intervention it needs. Organizations will be evaluating to what extent your job can be taken care of without any errors by the machines. Next most essential factors to be considered are the empathy and the emotional connect. These are factors the anchors to the human element in any jobs. Also, it is incredibly important to assess that how many skills does your job requires. A highly complicated job may require a mixture of skills with a piece of knowledge about when and where to use these skills. It will be difficult for the AI to replicate such a complex combination of skills in adequate proportions and until then there’s a high possibility that your job will be untouched by AI. 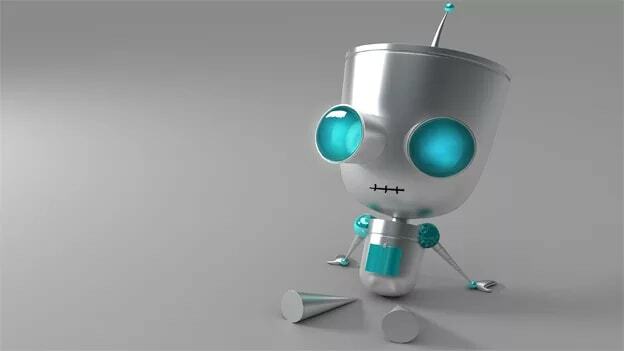 An interesting term that explains the future age of Artificial Intelligence is Co-bot. Co-bot means a human collaboration with bots. Unlike the popular belief where either the bots will take over the industries or humans will survive till the end, both technology and humans will have to endure together for advancement. According to LinkedIn Connect Conference, about 50% of jobs will require robot and human partnerships in the future and only 10% of jobs will be completely taken over by bots. Hence, the Co-bot age clearly tells us that we need not fear unemployment. The top skill that will be required from humans will be an ability to think followed by communication and collaboration. In the AI age, though humans won’t be doing any mundane tasks, there will be a need for higher intervention from humans. For humans to know and learn where and how the intervention is required, organizations will have to reskill their employees. There are two types of vital skills, pressure skills, and differentiating skills. Pressure skills are the ones which can be enhanced over a year’s time, and differentiating skills are your future goals which are yet to be learned by employees. The reskilling process needs to suit modern learners. Learning needs to be technology enabled so that it can be accessed anywhere and anytime by the learner. It also needs to be long-format or short-format depending on the learner. Most learning sessions are crafted into bite-sized learning modules so that employees can learn more in less time. Organizations must learn to encourage imagination and creativity and direct their hiring and recruiting efforts towards this. The assessments also need to scale up to accurately assess what a prospective employee has to offer instead of trying to fit the employee in a pre-decided mold. Organizations need to leverage the differentiating skills every employee has to offer. This is the only way to ensure that each and every employee brings a unique value to the table. On the other hand, all the employees must be keen and open to learning to stay relevant in times of machine learning and artificial intelligence. The answer to the danger of losing jobs is not allowing robots to enter the workplaces but to reskill ourselves in a way that we can bring out and leverage the innate human qualities to support the technological advancement.